Though the wooden pallet recycling is a damn fun job, but sometimes we might face the difficulty to deal with the deteriorated and broken shipping pallets. Removing the ding and contamination especially chemical becomes a hard task sometimes, but we just manage it because this has just become sort of matter of routine. 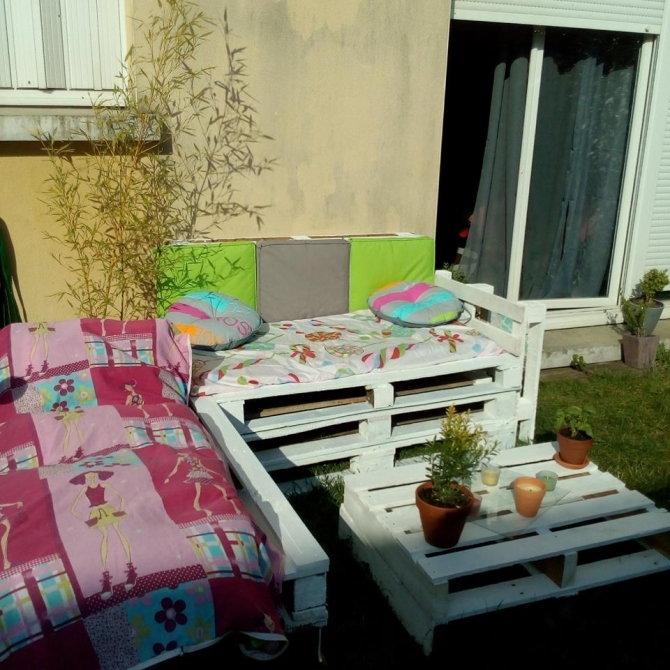 After all the certain procedures we bring you guys some remarkable pallet outdoor furniture ideas and the good part is that you guys also adore them. 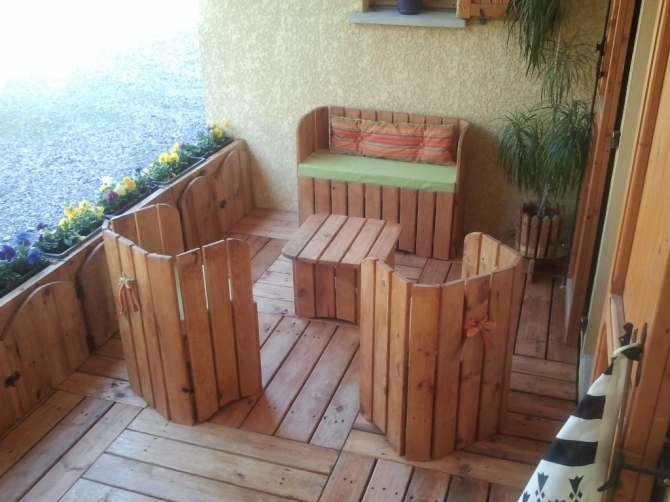 Here is another list of remarkable wooden pallet repurposed outdoor furniture ideas that would prove to be a helping hand in your lined up projects this summer. 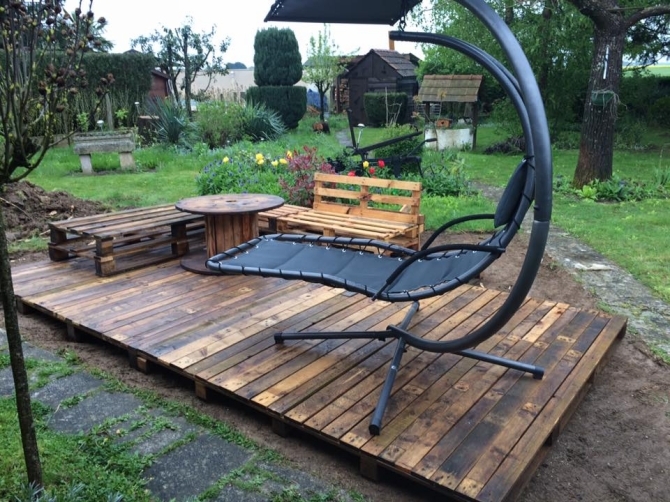 This entire pallet land that is embedded on a wooden repurposed deck is the creation of same pallet wood. Extra large wooden couches along with a reasonably sized centre table is a perfect sitting place in your outdoor areas like patio or garden. This is the manipulation of design that we usually talk about. I mean you simply won’t find this sort of crazy wooden furniture designs in the market, this is the creation of a fanatic pallet wood crafter who has designed them with utmost love and care that is clearly reflected in the couches and tiny wooden table as well. This time we made bit discrimination. 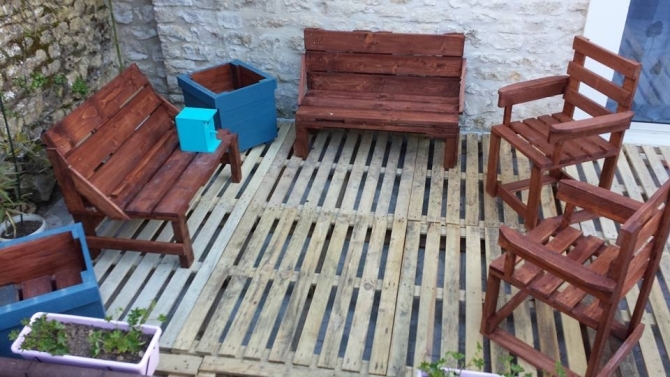 We actually used all the deteriorated shipping pallets in making the wooden deck, and rest of the fresh pallets were used in making the chairs and couches which carry a remarkable and ultra luxurious design. Colors are especially affiliated with the kids. They always love such colorful creations, and they were actually done especially for the kids of the house. 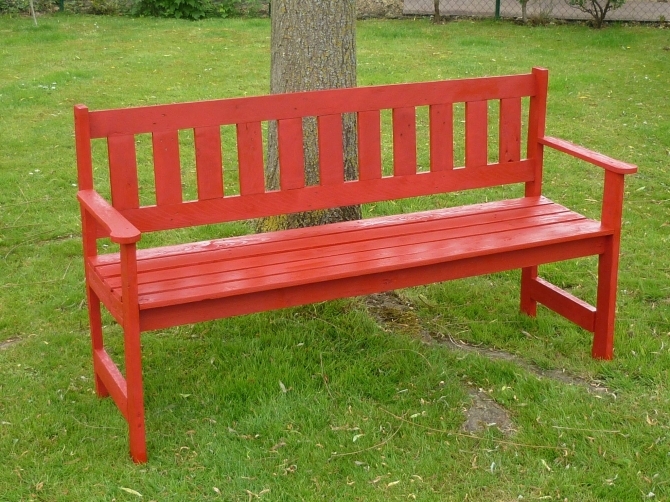 These garden sitting benches would compel them to come to the garden and take part in some outdoor activities which are beneficial for their overall health. Adirondack is a damn famous pattern usually adopted in making some outdoor chairs. We used the same pattern over here, while making the table we went a bit too far, because the design is quite different that carries a difficult pattern that we don’t see normally in the conventional furniture items. 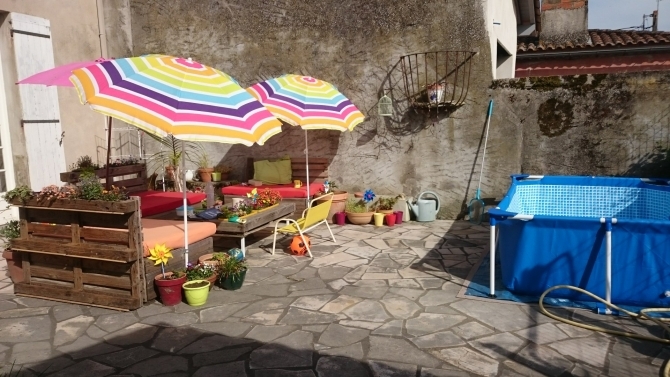 To make you outdoor space an ideal place for sitting, you always need a decent and comprehensive sitting plan because you can’t stand for some longer periods. 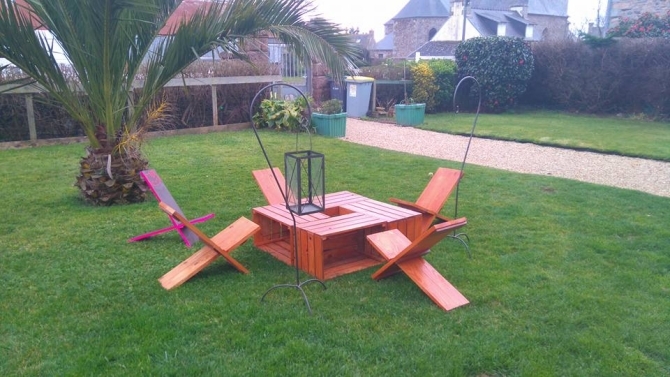 And making the furniture items with pallet wood is always encouraged by us, especially when you are planning to make something for outdoor spaces. To take sun bath is a healthy activity with the medical point of view, infact this is a proven and established fact. 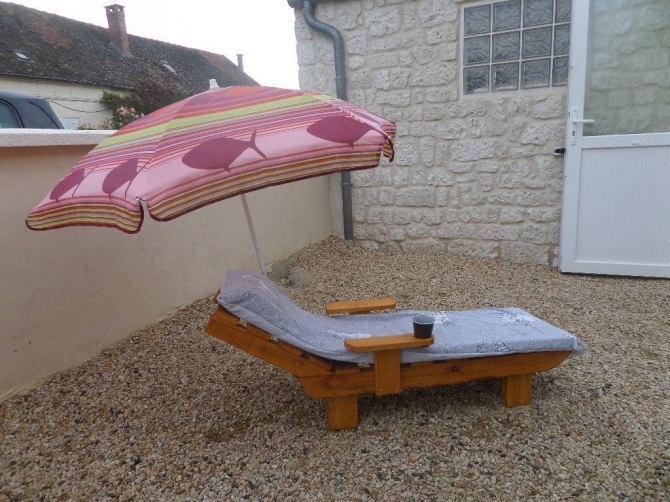 So how you are going to take sun bath unless you are lagging such a stylish pallet wood repurposed sun lounger? Be quick and make one for you. 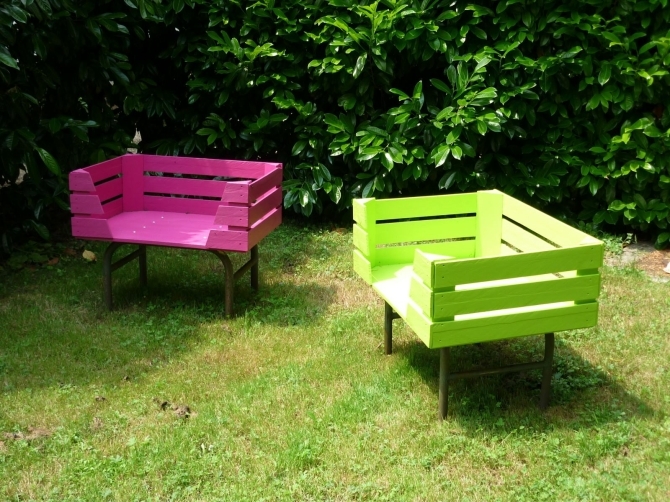 And all of this family stuff filled with the colors of love and care are again the blessing of pallet wood recycling. 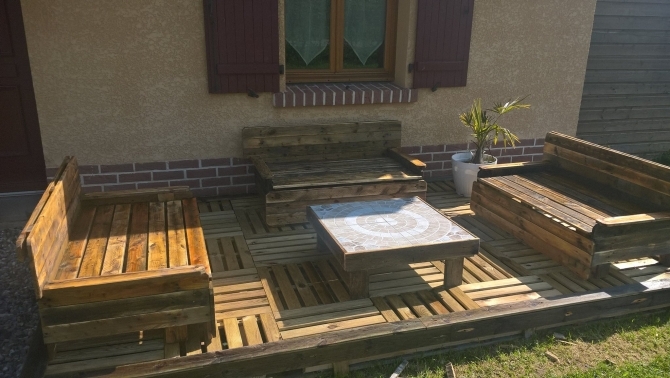 This whole sitting plan was made with the same wood pallet. Both long couches along with a decent wooden pallet coffee table is there to equip you with the finest sitting space.